This is a complete replacement cargo dome light assembly. There is a chrome and white base available (state your preference), and it comes with a new lamp. 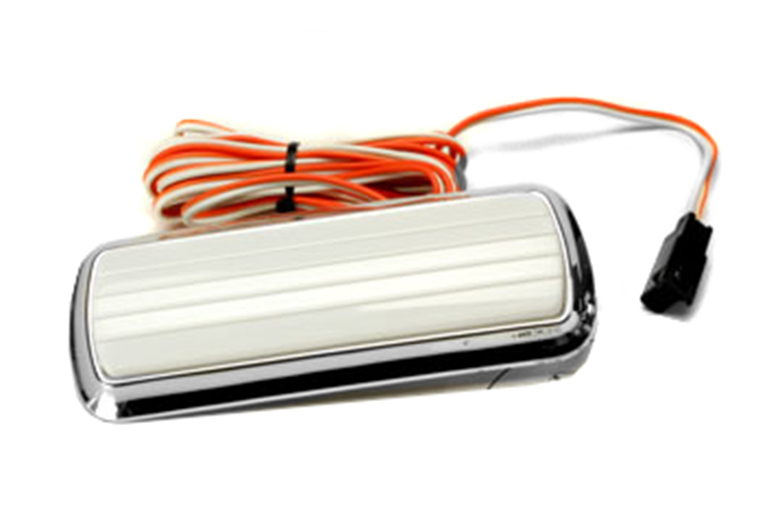 This lamp assembly is an exact replacement for the dome lamp used in all Scout II vehicles, and the 1969-1975 D-series Travelalls and pickups. This is also a replacement for some of the older A, B, and C-series trucks and Travelalls made from 1961 to 1969, as well as earlier 1950s trucks such as the B and BC series. On earlier trucks, the wire harness may need to be modified to fit the truck's existing harness.